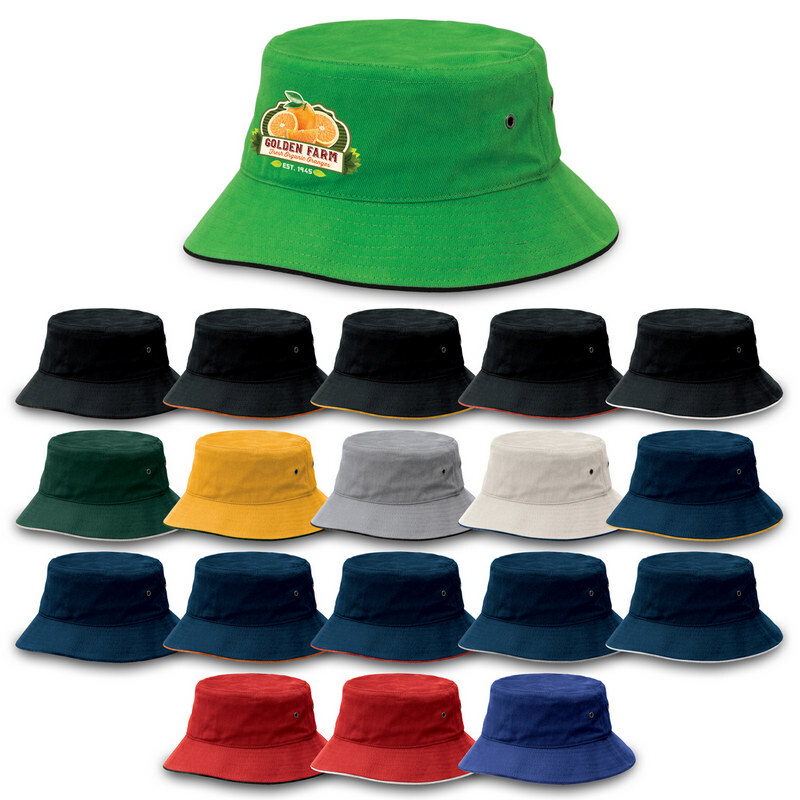 Description: A classic bucket with the stylish addition of a contrasting trim, in a huge range of colour combinations. Available in XS, S/M and L/XL sizes. Heavy brushed cotton | Sandwich trim | Gunmetal eyelets | Brushed cotton sweatband. Colours: Black,Black | Black,Burnt Orange | Black,Gold | Black,Red | Black,White | Bottle,Natural | Gold,Bottle | Grey,Black | Lime,Black | Lime,Lime | Navy,Gold | Navy,Navy | Navy,Orange | Navy,Red | Navy,Silver | Navy,White | Natural,Navy | Red,Black | Red,White | Royal,Royal | White,Black. Decoration Areas: Embroidery | Screen Print | Supaetch | Supasub | Supacolour.